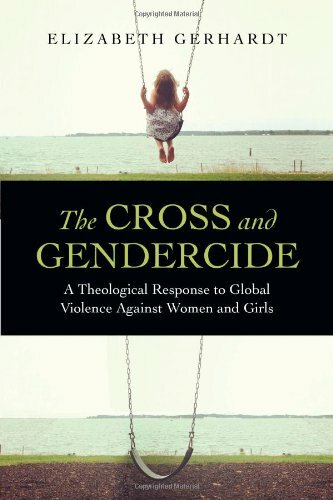 I recently had the privilege of reading and reviewing The Cross and Gendercide for IVP. It was a convicting and insightful read. The major issue is female violence on a global scale is a horrific problem. The major thesis is that the church needs to respond in their confessions to the issue. This means that global violence against women is about theology, not simply ethics or "women's issues." The faithful church can't ignore the issue nor can they think a blanket humanism or individualistic sympathy are the proper response. A united and faithful church responding together is what a "theology of the cross," as first taught by Martin Luther, requires of us. Using the example Bonhoeffer, Dr. Gerhardt set forth the Barmen Declaration as an example for the modern church. The Confessional Church was a historic part of resistance to Hitler. My favorite theologian, Karl Barth, was the primary author of the declaration. Though the attitude toward Barmen by the men who wrote it was almost immediately one of disappointment, it stands as a valuable piece of history. A flawed piece of history but nevertheless a forerunner in a confessional response to global violence. Because of my infatuation with Barth I had both read and studied the Barmen declaration in the past. From time to time I have dusted it off and read it anew in light of theological changes or more interaction with Barth. After reading The Cross and Gendercide, I knew I needed to read it again. And I did. It speaks more or less clearly but certainly more prophetically then it has before. What I intend to do over the next week or two is working through the six articles of the Barmen Declaration and provide my commentary. Like when it was written I am sure that interpretations will vary. But if the church is to move forward in its confessional resistance to global violence against women the conversation needs to start somewhere. Why not here? May 30 Spiritual, Material, or Liturgical?